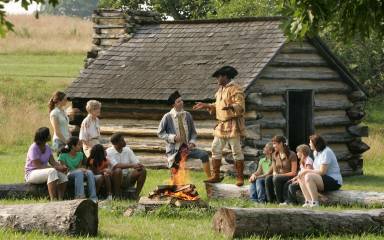 History marches off the page every summer at Valley Forge National Historical Park. 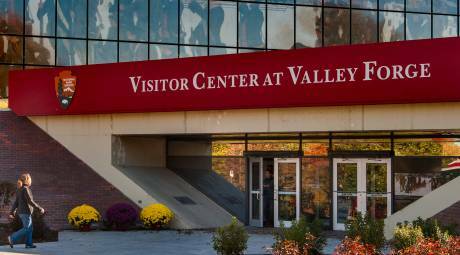 With daily living history demonstrations, storytelling benches, interactive children's programs and guided tours, there is no better time to visit Valley Forge. 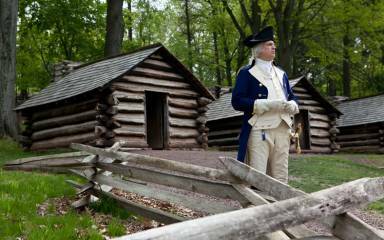 Meet a Continental solder and experience a day in the life at Valley Forge encampment, including historic weapons demonstrations (weather and staff permitting). For the summer, ranger-led talks are offered at 11:30 a.m., 1:30 and 3:30 p.m.
Jan. 7 - Jun. 18: Weekends 10:00 a.m. to 4:00 p.m.
Jun. 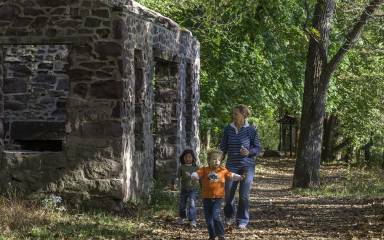 19 - Sep. 4: Daily 10:00 a.m. to 4:00 p.m.
Sep. 5 - Dec. 31: Weekends from 1:00 a.m. to 4:00 p.m.
Free ranger-led walking tours (1/4 mile) explore the importance of the Valley Forge encampment and its impact on the American Revolution. 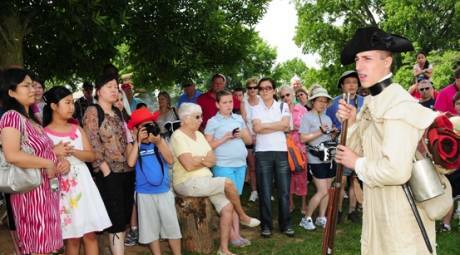 The walk concludes with a living history demonstration at the Muhlenberg Brigade Huts. Apr. 1 - Jun. 18: Weekends at 10:50 a.m. & 2:50 p.m.
Jun. 19 - Sep. 4: Daily at 10:50 a.m., 12:50 and 2:50 p.m.
Sep. 5 - Oct. 30: Weekends at 10:50 a.m. & 2:50 p.m. 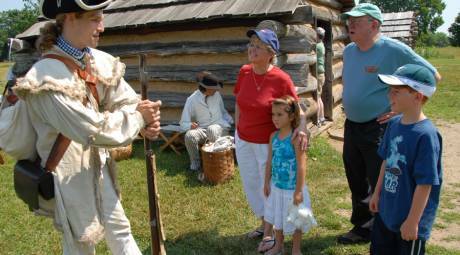 The Valley Forge encampment comes to life during Muhlenberg Days at Valley Forge National Historical Park. 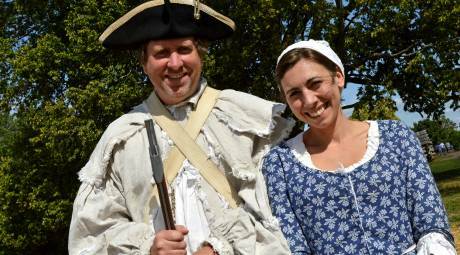 Historic interpreters tell the story of camp life at Valley Forge with special demonstrations, including cooking and bread baking. All programming takes place at the Muhlenberg Brigade Huts. 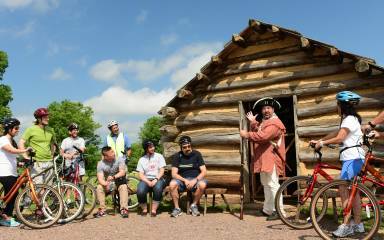 Bike tours of Valley Forge National Historical Park are offered through the Encampment Store at Valley Forge Park. 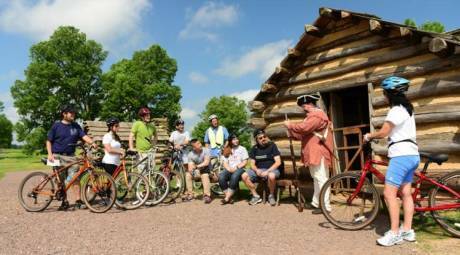 Bike rentals are also available for those who want to explore Valley Forge at their own pace. 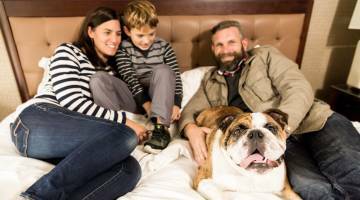 For a full schedule of tours and pricing information, please click the link below. 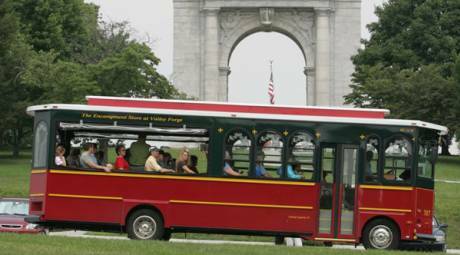 The Encampment Store at Valley Forge Park offers 90-minute guided trolley tours throughout the year with stops at some of the most popular sites at the park. Mar. 25 - Jun. 4: Weekends at 11:00 a.m., 1:00 p.m. & 3:00 p.m.
Jun. 5 - Jun. 23: Daily at 11:00 a.m., 1:00 p.m. & 3:00 p.m.
Jun. 24 - Aug. 13: Daily at 10:00 a.m., 12:00 noon, 2:00 p.m. & 4:00 p.m.
Sep. 9 - Oct. 29: Weekends at 11:00 a.m., 1:00 p.m. & 3:00 p.m. 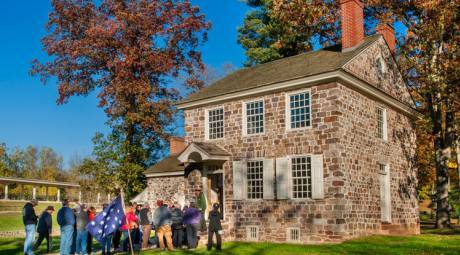 Explore the home where George Washington made his headquarters during the Valley Forge encampment and learn about what the General's life was like during this time. 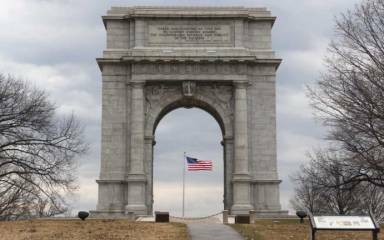 Nearby is the Valley Forge Train Station which now houses exhibits dedicated to telling the story of Washington's leadership. 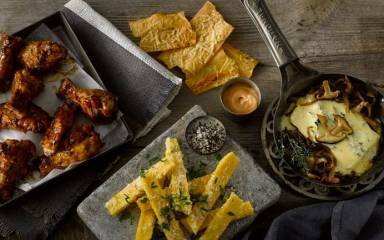 Mar 20 - Jun 18: Daily from 9:00 a.m. to 5:00 p.m.
Jun 19 - Aug 20: Daily from 9:00 a.m. to 6:00 p.m.
Aug 21 - Dec 31: Daily from 10:00 a.m. to 4:00 p.m. 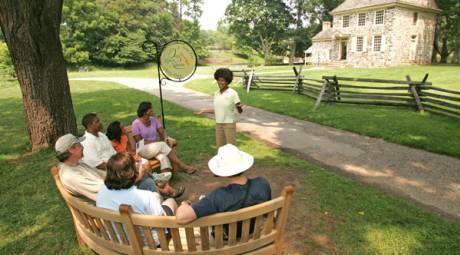 Throughout the summer, pull up a seat and listen as Once Upon a Nation storytellers share stories of the Valley Forge Encampment. Storytelling benches are set up near the Visitor Center and on the Train Station platform. May 27 - May 29: Daily from 11:00 a.m. to 4:00 pp.m. Jun 3 - Jun 11: Saturdays & Sundays from 11:00 a.m. to 4:00 p.m.
Jun 12 - Aug 13: Daily from 11:00 a.m. to 4:00 p.m.
Aug 19 - Aug 27: Saturdays & Sundays from 11:00 a.m. to 4:00 p.m.
Sep 2 - Sep 4: Daily from 11:00 a.m. to 4:00 p.m.
Sep 9 - Oct 22: Saturdays & Sundays from 11:00 a.m. to 4:00 p.m.
On select Wednesdays at 12 noon starting June 21, Valley Forge National Historical Park hosts its summer speaker series. Bring a bagged lunch and explore a variety of historical topics.